Samsung Electronics’ new Wireless PowerShare technology allows you to use your Galaxy S10 to recharge compatible smartphones and wearables1 without the need for additional cables. It’s a simple and convenient way to keep your devices powered up when you’re on the go. 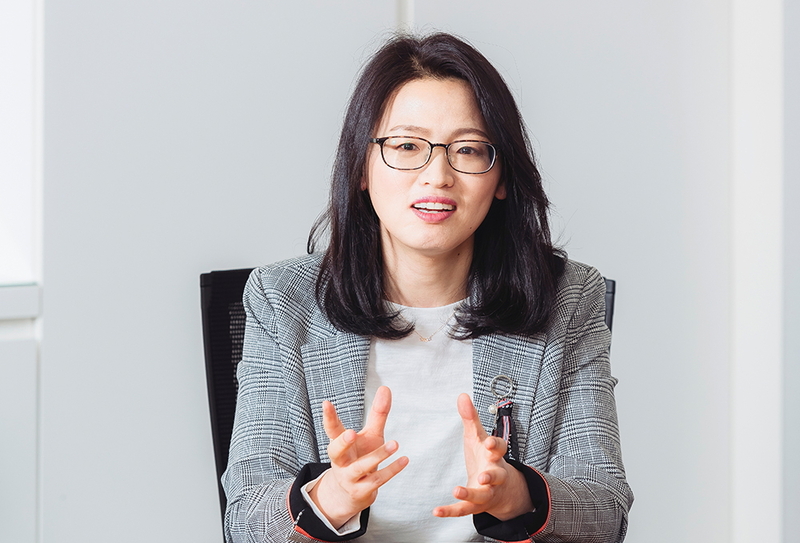 To learn more about the development process behind the new flagship line’s powerhouse battery, Samsung Newsroom sat down with developers who helped bring the battery to life – Hyeonsu Lee, Hongjung Son, Yusu Kim and Juhyang Lee – as well as Product Planner Jeongmin Moon. 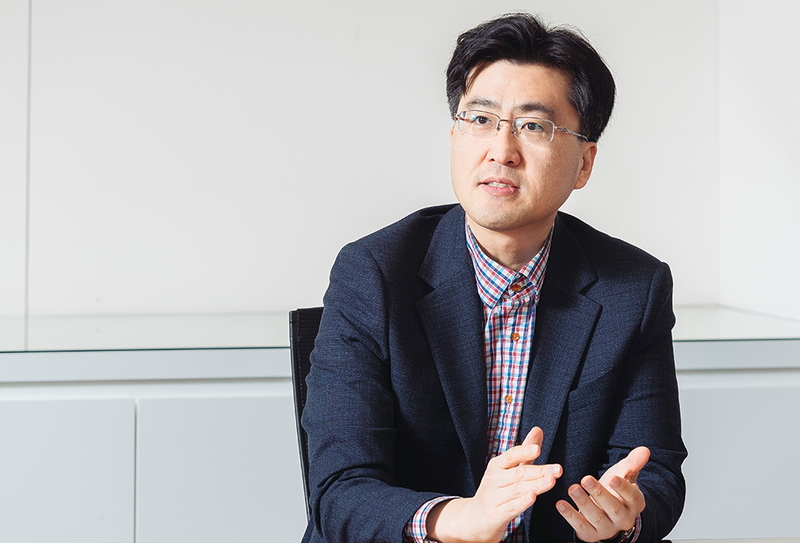 According to Product Planner Jeongmin Moon, the development team incorporated Wireless PowerShare technology into the Galaxy S10 line to offer users the freedom to go about their day without being tied down by cables and chargers. Since the release of the Galaxy S6, the first Galaxy device to offer wireless charging, more and more smartphones and wearables have begun to feature the technology as well. This, Yusu Kim noted, is another reason why Samsung prioritized incorporating wireless battery-sharing technology into the Galaxy S10 line. The technology behind wireless battery sharing and wireless charging is quite similar. A wireless charger receives DC (direct current) charge and converts it to AC (alternating current) with the battery coil before transmitting it to the receiving smartphone. The phone will then convert the AC charge back to DC and save the energy in the battery. Each Galaxy S10 device features a circuit that enables this two-way conversion, which essentially allows the phones serve as wireless chargers as well. As mentioned above, the list of Wireless PowerShare-compatible devices includes not only smartphones, but, in an industry first, wearables1 like Samsung’s Galaxy Watch and Galaxy Buds as well. As Juhyang Lee explained, the process of enabling the technology to work with such a wide range of devices was quite a difficult task. Of course, in order to share its charge with another device, your Galaxy S10’s battery must possess enough power to efficiently operate your phone. (At least 30 percent, to be precise.) To offer users more freedom to utilize this useful function, the Galaxy S10 line features AI technology that optimizes battery usage based on how you use your phone. The efficiency of the Galaxy S10’s battery has been amplified with stronger hardware. At 7.8mm thick, it’s thinner than the Galaxy S9’s 8.5mm battery, and its capacity has been increased by 10 percent (from 3000-3500mAh to 3400-4100mAh)3. Each member of the product planning and development teams agrees that Samsung’s latest battery innovations will unlock unprecedented user experiences. 1 Using Wireless PowerShare, you can charge Samsung and Qi-certified phones, and wearables such as Galaxy S9, S9+, S8, S8+, S8 Active, S7, S7 edge, S7 Active, S6, S6 edge, S6 Active, S6 edge+, Note9, Note8, Note FE, Note5, and wearables such as Galaxy Watch Active, Gear Sport, Gear S3, Galaxy Watch (46/42mm), and Galaxy Buds. It may not work with certain accessories, covers, or other brand devices. Wireless PowerShare may also affect call reception or data services, depending on your network environment. 2 Users may specify whether or not they’d like Adaptive Power Saving mode to automatically activate in their Galaxy S10’s settings. 3 Typical value tested under third-party laboratory condition. Typical value is the estimated average value considering the deviation in battery capacity among the battery samples tested under IEC 61960 standard. Rated (minimum) capacity is 3000mAh for Galaxy S10e, 3300mAh for Galaxy S10 and 4000mAh for Galaxy S10+. Actual battery life may vary depending on network environment, usage patterns and other factors.